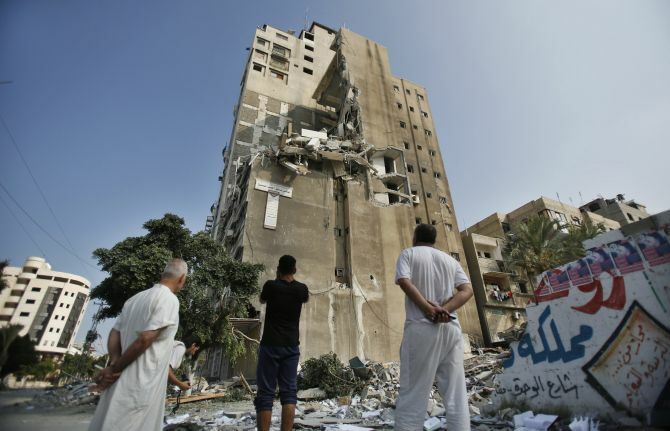 Israeli air strikes on Tuesday killed 7 people in the Hamas-ruled Gaza Strip, raising the Palestinian toll to 583 in the 15-day conflict that has also left 27 Israeli soldiers dead, even as international efforts to forge a ceasefire continues in Qatar and Egypt. At least 5 persons were killed and 70 others injured in the latest Israeli strike on a hospital in Gaza, Palestinian health ministry sources said, adding that several doctors were also wounded in the attack. 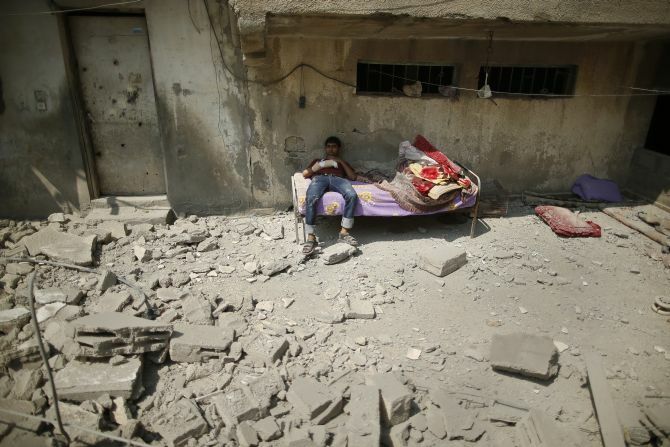 A strike on Deir el-Balah in central Gaza killed 5 family members, 4 of them women. 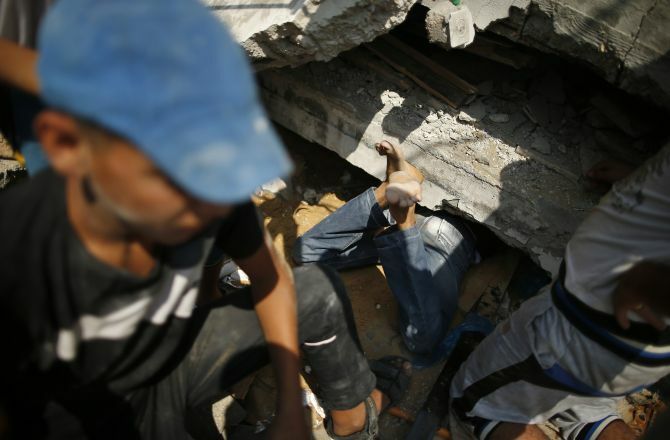 One person in nearby Nusseirat and one in Khan Yunis died in the Israeli attacks. 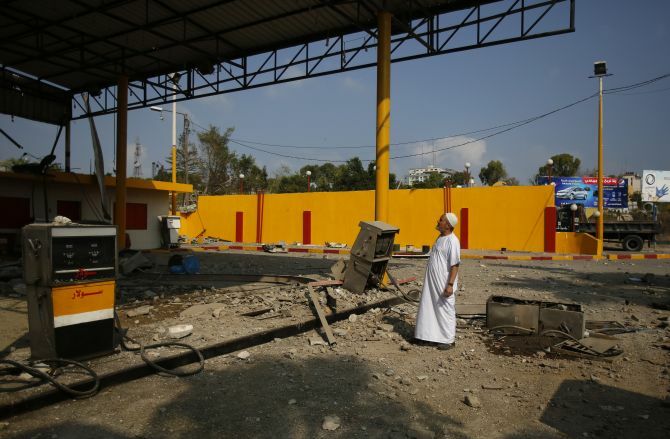 Israel Defence Forces said it had targeted a cache of anti-tank missiles in the hospital's "immediate vicinity". 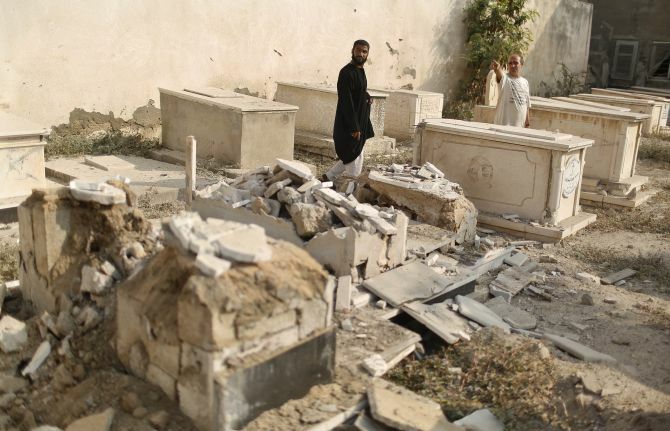 Over 30 members of two Palestinian families also died in Israeli strikes overnight, Gazan health officials said. The IDF on Tuesday announced that nine soldiers were killed on Monday, raising the number of Israeli military fatalities since the operation commenced to 27. One of the IDF soldiers has been classified as "missing" in Gaza, the army confirmed. The IDF spokesman's office said 3 soldiers have been seriously wounded, eight moderately wounded and 19 were lightly wounded during the past 24 hours. 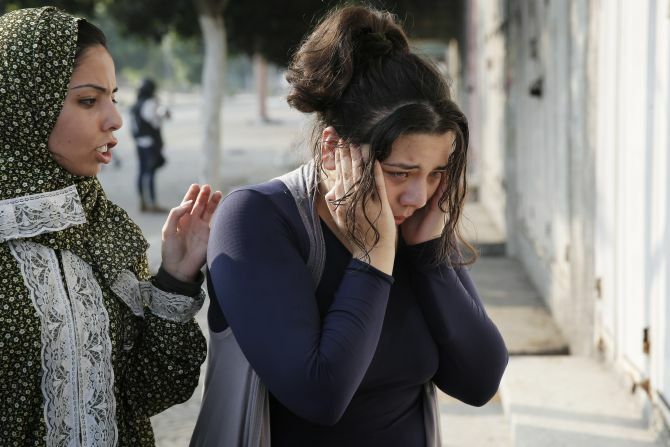 Two Israeli civilians have been killed and about a dozen injured. At least 583 Palestinians, majority of them civilians including women and children, have been killed since Israel launched its Operation Protective Edge on July 8, according to Gaza's health ministry. Some 3,640 were wounded. UN agencies working in Gaza said that more than 100,000 Gazans have now been displaced and have sought shelter in UNRWA facilities where providing basic necessities "is an impossible challenge". 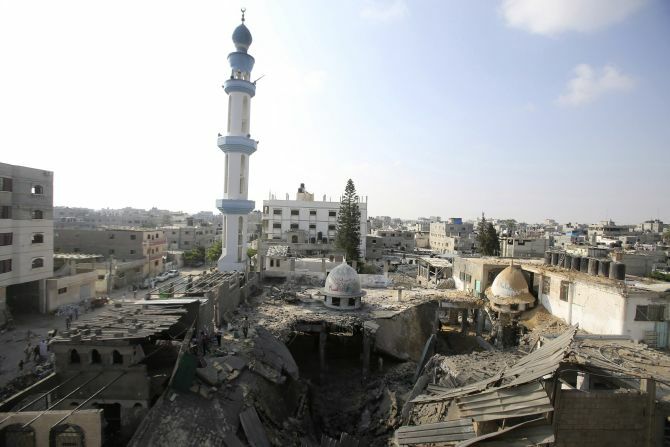 "Civilian casualties are a tragic inevitability of (Hamas') brutal and systematic exploitation of homes, hospitals and mosques in Gaza," the IDF said in a statement. It said that approximately 131 rockets and mortars were fired at Israel on Monday, of which at least 108 hit Israel and 17 were intercepted. No casualties were reported from these attacks. Meanwhile, some Arab TV stations quoted unnamed Palestinian sources as saying that a humanitarian ceasefire may be announced in Cairo on Tuesday. The sources claimed that Hamas leader Khaled Mashaal was expected to arrive in Cairo for the announcement. Mashaal held ceasefire discussions with Palestinian Authority President Mahmoud Abbas in Qatar in what is the first meeting of its kind since the beginning of the current round of fighting. Abbas is said to have emphasised the need for all parties to abide by the recent Egyptian ceasefire initiative, which Israel had accepted but Hamas rejected. A close aide to Abbas, Nabil Abu Rudaineh, reiterated the PA leadership's call for an immediate ceasefire, saying this would "achieve the national goals of the Palestinian people". However, former Hamas Prime Minister Ismail Haniyeh in a televised speech in Gaza said that his movement has decided to "end the blockade with its blood and weapons and there would be no return back." "This siege, this unjust siege, must be lifted," he said. Outlining Hamas' conditions for a ceasefire, Haniyeh said that it must also include ending the blockade and Israeli "aggression" on Gaza and the release of former Palestinian prisoners who were re-arrested by Israel in the recent weeks. He also denounced Arab "silence" toward the war in Gaza. "The silence of the Arab regimes has emboldened the enemy and given it a cover to perpetrate more crimes," he charged. Meanwhile, Israel's Prime Minister Benjamin Netanyahu told CNN that any ceasefire agreement is possible only if it brings "sustainable quiet". "We'll stop our operations when we can bring back quiet to our people," he said. US Secretary of State John Kerry is also holding talks in Cairo with UN chief Ban Ki-moon to try to arrange a ceasefire. The UN Security Council has issued a call for an "immediate cessation of hostilities", but did not endorse a strongly worded draft resolution backed by Arab states. President Barack Obama said the US had "serious concerns about the rising number of Palestinian civilian deaths and the loss of Israeli lives", adding the focus of the international community should be "to bring about a ceasefire... that can stop the deaths of innocent civilians". Meanwhile, more sirens were heard in Tel Aviv, as rockets fired by Hamas from Gaza target Israeli towns and cities. Compared to the state-of-the-art weapons Israel is using to bombard Gaza, this is a relatively unsophisticated assault. However, the rockets spread fear, and pose a real threat to the security of Israeli citizens. Israel's Iron Dome anti-missile defence system has brought huge relief to its citizens by intercepting more than 200 rockets. 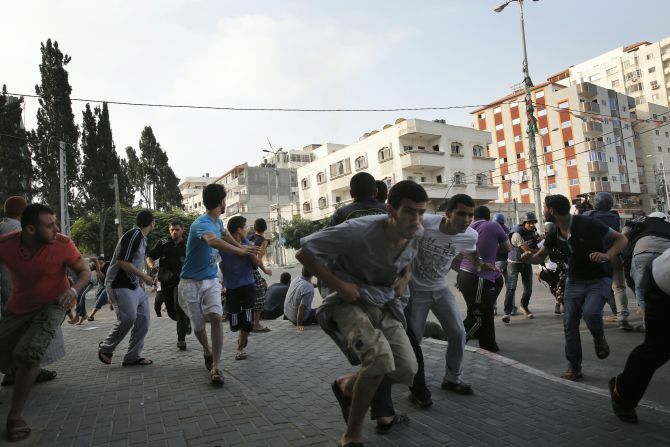 Palestinians take cover as warning Israeli air strikes are fired at a nearby building in Gaza City.